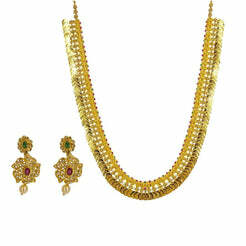 5.8CT Diamond Asymmetric Necklace and Earrings Set In 18K Yellow Gold W/ Pearl & Ruby Accent for women. Gold weight is 49.2 grams. 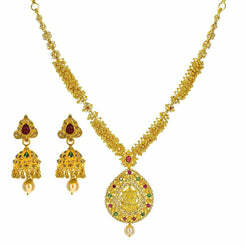 Hook closure on necklace and post screw backs on earrings. 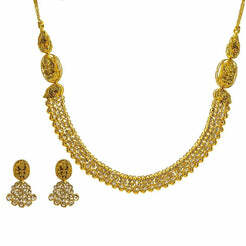 Perfect bridal set jewelry.